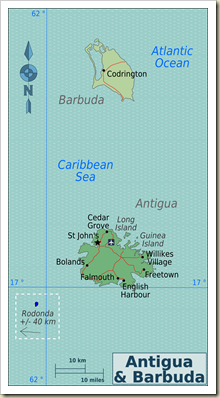 Antigua and Barbuda is an island country, comprised of two islands, called Antigua and Barbuda. Both islands are located in the Caribbean and they can be found between the North Atlantic Ocean and the Caribbean Sea, off the South American coast and east-southeast from Puerto Rico. There is a third island called Rodonda, which isn’t inhabited. Whenever you’re thinking of an island from the Caribbean, you’re thinking of something very similar to the island of Antigua. Since the resources are few, the economy of the country is mostly dominated by tourism, thanks to the great beaches with white sand. The island of Antigua is full with luxury resorts, but Barbuda is somewhat lacking in the infrastructure needed for tourism. The country’s climate is a tropical marine one and the variation of the temperature varies very little from one season to another. From July to October, Antigua and Barbuda get hurricanes and droughts. 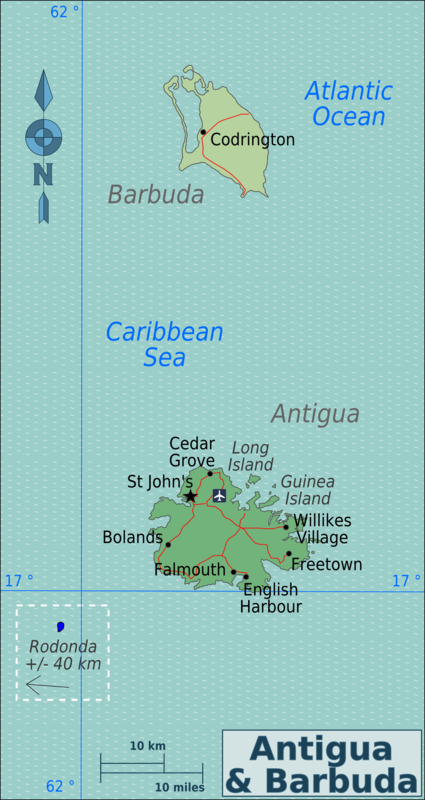 The main cities from Antigua and Barbuda are: Saint John’s (capital), Codrington, Dickenson Bay, English Harbour, Falmouth and Half Moon Bay. Antigua and Barbuda is a constitutional monarchy, which has a parliament in UK style and uses the East Caribbean dollar (XCD) as a currency. It has English as the official language and the main religion used here is Anglican. The total population in 2009 was 85,632 and the area occupied by the island is 170 sq. miles (440 sq. km). The population density in the country is 194 per sq. km. (793 per sq. mile). The locals from Antigua and Barbuda are quite friendly, as long as you are respectful, the same as you would do in any other country.